World’s largest miner BHP Billiton (ASX, NYSE:BHP) (LON:BLT) has lost about $712 million due to an already 35-day-long strike at its Escondida copper mine in Chile, based on the main union's estimates, but the company is about to put an end to the stoppage. 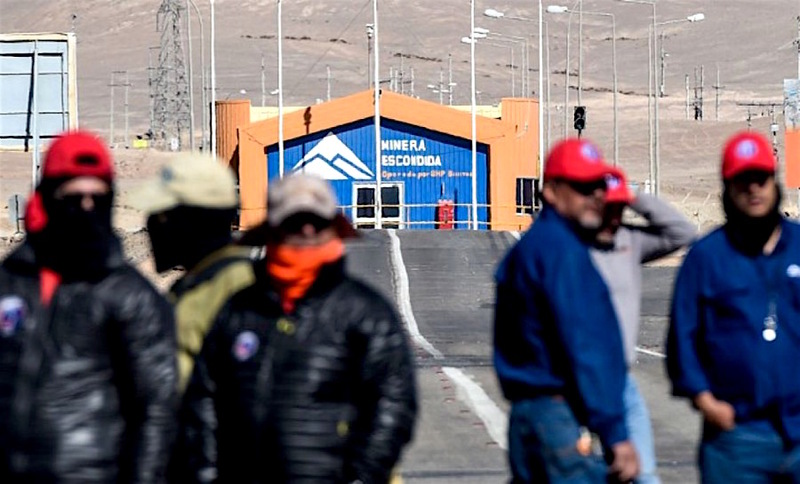 According to the mine’s president, Marcelo Castillo, the firm is currently analyzing its legal alternatives to resume work at the world's largest copper mine as soon as possible, which includes hiring temporary workers to replace those that have downed tools. Escondida is currently analyzing options to resume work as soon as possible, which includes hiring temporary workers to replace those that have downed tools. "We first want to restart operations at two major areas of the mine that are unrelated to the current talks and which employs workers who are not part of the 2,500 currently on strike," Castillo told local radio Cooperativa (in Spanish). After that, the firm will begin additional maintenance work, before fully resuming operations and copper production, he said. His comments come as the mine’s main union rejected Monday a company invitation to return to the negotiating table, saying the offer did not take into account workers' pre-conditions for dialogue. It was the third failed attempt to resume talks during the labour action that has boosted supply worries and driven copper prices up. Strikers have accused BHP, which operates the mine and holds a 57% stake, of offering no pay increase, seeking to cut bonuses, and removing top-up payments for those who take voluntary redundancy, as well as changing shift hours. The company, in turn, has blamed miners for causing damages to equipment and installations. Last month, BHP even declared force majeure at the mine, sending copper prices to their highest since May 2015, but an unexpected surge in copper inventories at facilities controlled by the LME and on the Shanghai Exchange stopped the rally in its tracks. Chile’s government, in turn, insists on calling the parts to resolve their issues through negotiation. 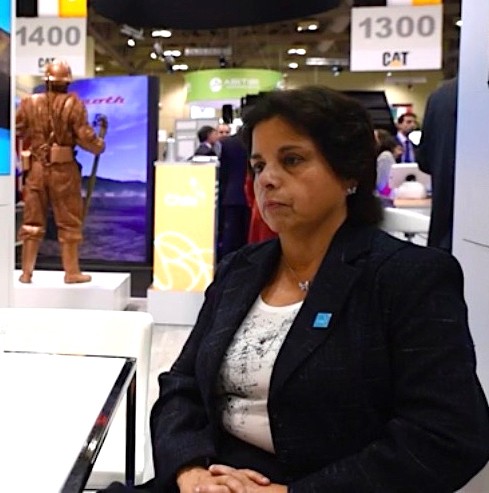 Speaking to MINING.com on the sidelines of the Prospectors and Developers Association of Canada (PDAC) conference last week, mining minister Aurora Williams said she is hoping for a prompt resolution of the conflict, which already dragged down the country’s GDP by 1% in February. The strike is also expected to significantly affect the nation’s annual output. A previous labour strike in 2006 ended after 25 days and the current wage deal was signed four years ago when copper was trading around $3.40 a pound. Escondida, located in the copper-rich Antofagasta region, in northern Chile, supports just over 10,000 full-time jobs and it is forecast to produce almost 1.1 million tonnes this year, according to BHP figures. That is equivalent to about 5% of the world’s total copper production.